Halsway Manor, National Centre for Folk Arts is delighted to have received a grant of £387,500 from the Heritage Lottery Fund (HLF). The National Lottery grant, along with £57,600 from the Country Houses Foundation and £100,000 from supporter donations will allow the charity to restore the Manor and library collection, and to deliver a creative learning programme in local schools and across West Somerset. After over fifty years of heavy use there is essential work needed to preserve the buildings and valuable library collection. 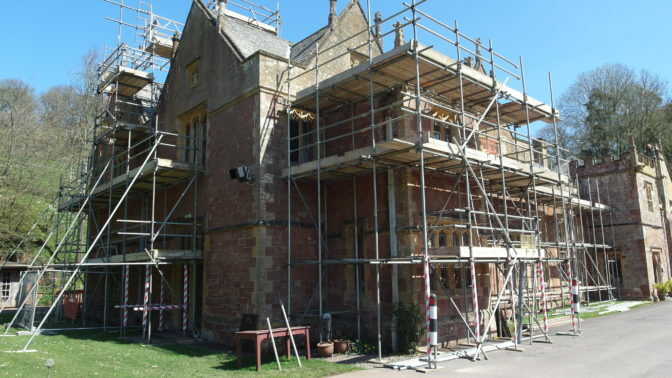 The project will repair and conserve the Manor’s historic building fabric, upgrade dated electrical and water systems and provide more efficient heating. This work will be carried out between April and August 2018 by Somerset firms Jonathan Rhind Architects and heritage building company Ellis and Co. Alongside the restoration will be a far-reaching creative learning programme working with local schools and communities to use the folk heritage of Halsway and the surrounding areas to stimulate creative workshops, residencies and new work.